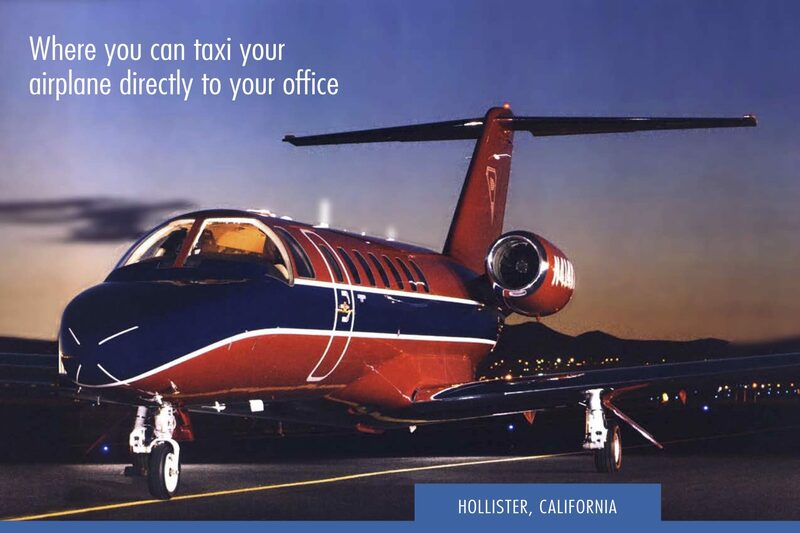 Build your own office complex or manufacturing plant in front and have your own personal hangar in the back with access to a 6,350 foot runway. 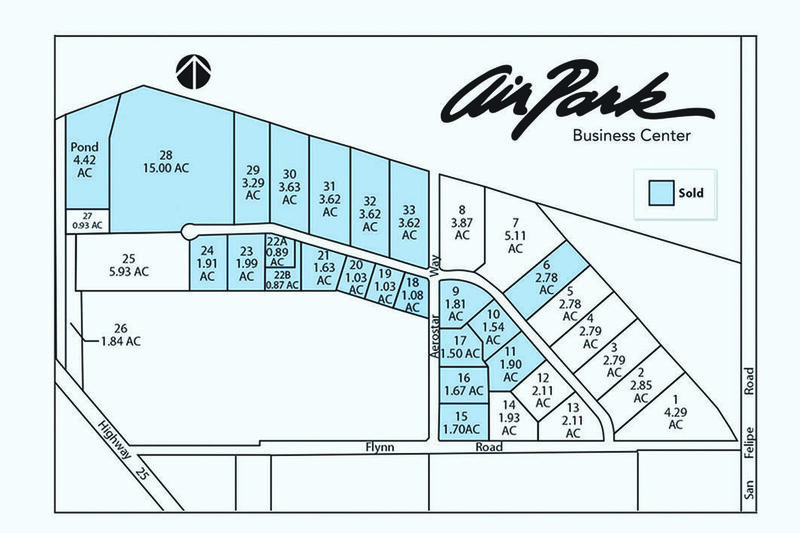 Airpark Business Center is a 100-acre master planned development, zoned Industrial Business Park/Airport Support and located directly adjacent to the Hollister Municipal Airport. The development includes lots ranging in size from 1 to 15 acres. Lot sizes may be adjusted to suit your specific needs, and you own the building and the property. Financing available to qualified buyers.